More than 1,000 North Koreans have defected to South Korea so far this year, a level similar to the number recorded during the same period of last year, the unification ministry said Tuesday. 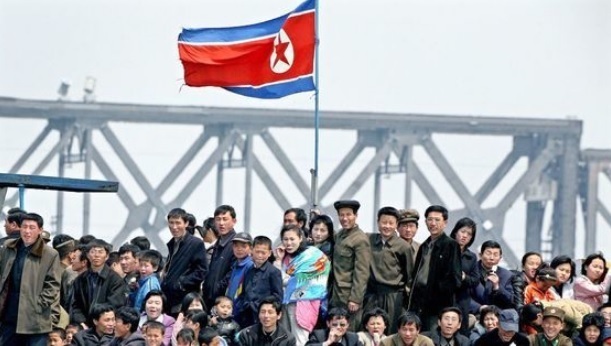 The number of North Koreans defecting to the South came to 1,042 during the January-November period, according to the data provided by the ministry. Last year's corresponding figure was 1,045. "Since Chairman Kim Jong-un took office in 2012, around 1,000-1,500 North Koreans have defected to the South every year," a unification ministry official told reporters. As of end-November, North Korean defectors living in South Korea totaled 32,381, according to the ministry. The official also said that the government has been "flexible" in allowing humanitarian organizations to contact North Korean people and bringing in assistance to the North amid a thaw in inter-Korean relations. During the January-November period, Seoul has permitted six civic groups to bring 4.7 billion won ($415,000) worth of tuberculosis drugs, powdered milk and flour to the North in 14 separate cases. In particular, it was the first time that flour assistance had been shipped to the North since early 2016, when tensions flared over North Korea's nuclear and missile provocations. Last year, South Korea announced a plan to provide $8 million worth of assistance to North Korea through international humanitarian groups but the plan has yet to be executed.